Not sure why people are calling recent reviews fake. I ordered and received two bottles of this two months ago. Perhaps these people should spend more time more tracking their emails (you can sign up for in-stock notifications) and less time writing useless reviews. As stated been taking these for about two months now. Requires way too many pills but my weight loss has been pretty consistent along with diet and exercise so will continue to use. Is this coming back out?? ANY ETA??? Been Waiting however nobody is saying anything like is a big Secret! I only believe and trust Jym products but dont lie to us! Smh! I read through a lot of previous reviews and actually started taking it twice a day. I go to the gym 5 times a week and long distance cardio at least every 3-4 days. I also changed up my diet from 1300 calories a day to just eating 5-6 small meals with high protein a day. I dont know if this product specifically helped me burn the extra weight off or not, but im 193lbs after being 204lbs for a real long time. I’m 6’3. It took almost a month and a half to get there. Im more defined and cut than i ever have been. I feel like, if it did anything, it gave me a decent energy boost throughout the day. I’ve tried other kinds of diet pills combined with workouts and diets before and none have been this effective. I dont think id do it twice a day again, though. I was drinking tons of water with this because i was afraid of potentially getting kidney stones from all the supplements, lol. Pretty dissapointed to see it’s unavailable yet again... i’d be willing to give it another try and see if it helps me get down to 190. No change at all. I’ve been dieting and exercising and I’ve actually put on weight after using these. This my 2nd time around with these. The first time I tried them was back over the summer, I lost 10 lbs. Then they were out of stock intill last November, when they got it back. I order 2 bottles. Started taken it again two weeks ago, and haven't noticed a change. Last time these work and noticed a big difference, this time there isn't. So I'm starting to wonder if they changed formula for it or had a bad badge made to meet the demand. I now see that it's out of stock again. 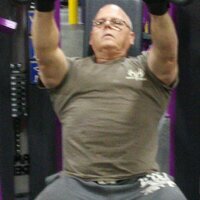 Now back searching for another fat burner. Wondering how big the capsule is? Or if too large can they be broke open and the powder mixed, and still get the same effect? Has always been effective for me. Great product. 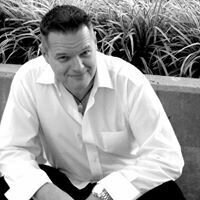 Read on Jim’s IG that it will be back on BB.com in a few weeks. The more upsetting part for me, which puts Jim in question period, is the lack of noise about the product being unavailable. When asked on Twitter, he said, "delay in manufacturing", and nothing more ... C'mon dude ... it's been months. What is the real story, no BS? I loved the product, and it just going away without any explanation to those of us that buy your products, is just lazy, and unlike what you are a proponent of. This obviously isn't coming back...who can make a suggestion for an effective fat burner along the lines of JYM Shred? This is more of a question than a review. 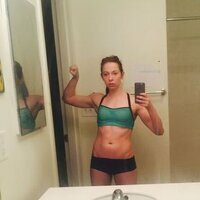 I haven't noticed any effect as far as fat loss. What I've noticed is that this makes me really sleepy which is surprising since this contains caffeine. Is that normal or is just having the reverse effect on me? 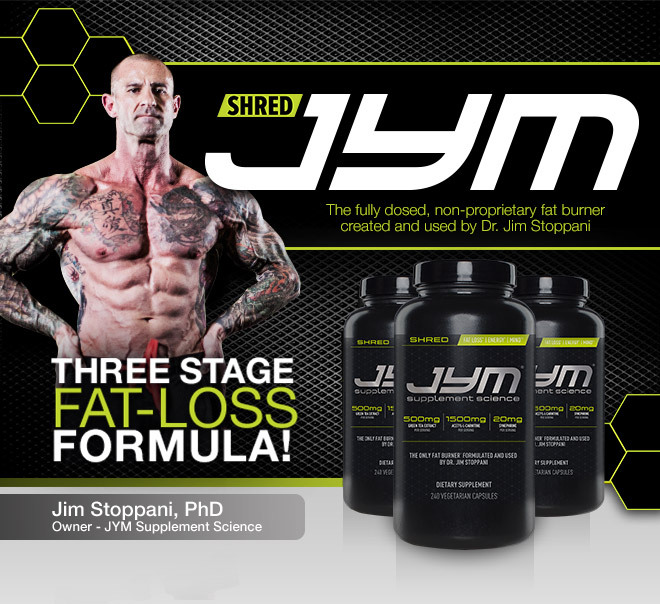 Directions For Shred JYM: As a dietary supplement, take one serving (6 capsules) 1 time per day. Shred JYM™ can be taken with or without food. Some people may have a sensitive stomach and will not tolerate green tea extract well on an empty stomach. If this is you, be sure to take Shred JYM™ with meals. If you are sensitive to caffeine, do not take within 6 hours of bedtime. Warnings: Not intended for use by persons under age 18. Do not exceed recommended dose. Do not consume synephrine or caffeine from other sources, including but not limited to, coffee, tea, soda and other dietary supplements or medications containing phenylephrine or caffeine. Contains caffeine. Do not use for more than 8 weeks. Consult with your physician prior to use if you are pregnant or nursing, or if you are taking medication, including but not limited to MAOI inhibitors, antidepressants, aspirin, nonsteroidal anti-inflammatory drugs or products containing phenylephrine, ephedrine, pseudoephedrine, or other stimulants. Consult your physician prior to use if you have a medical condition, including but not limited to, heart, liver, kidney, or thyroid disease, psychiatric or epileptic disorders, difficulty urinating, diabetes, high blood pressure, cardia arrhythmia, recurrent headaches, enlarged prostate or glaucoma. Discontinue 2 weeks prior to surgery or if you experience rapid heartbeat, dizziness, severe headache or shortness of breath. To avoid sleeplessness, do not consume within 6 hours of bedtime. PROP 65 WARNING: This product contains a chemical known to the State of California to cause cancer, birth defects or other reproductive harm. WARNING: Accidental overdose of iron-containing products is a leading cause of fatal poisoning in children under 6. In case of accidental overdose call a doctor or poison control center immediately.